With its proximity to the Hugh S. Branyon Backcountry Trails, Gulf State Park and campground, and the Cotton Bayou public boat launch, Grand Caribbean occupies a prime spot in Orange Beach for both vacationers and boaters alike! This development is across the road from the Shoppes at Palm Pointe, and is walking distance to many great restaurants. As an owner or guest staying at a Grand Caribbean condo, you even have a front row seat from your balcony for the Mardi Gras parades that pass by every year, in addition to the views of the Gulf and Cotton Bayou! Throw me something, mister! Read more about the features and amenities of Grand Caribbean condos below the listings, or start perusing the current listings in Grand Caribbean now! Grand Caribbean offers choices of floor plans ranging from the standard one and two bedroom units to the top floor two bedroom units with lofts that boast great views of the Gulf of Mexico. These condos offer added functionality because of the bunkbeds in each unit. The rental potential in Grand Caribbean is strong, as many renters flock to this complex for its central location and nice amenities, including a sparkling pool and picnic area with grills. 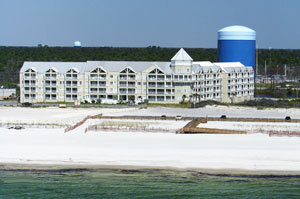 Built in 2004, Grand Caribbean condos offer a wonderful family setting and an excellent location in the heart of Orange Beach. 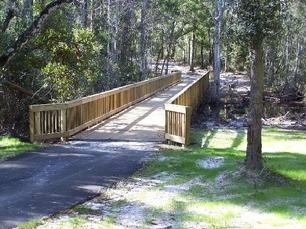 Even though Grand Caribbean is close to everything Orange Beach has to offer, the tranquil back bays, hidden dunes, beach grasses, and the boardwalks to the bike trails make it a natural oasis nestled among all the fun. There is no limit to the choices of recreation nearby Grand Carribean, whether it is shopping, dining, boating, biking, and more! 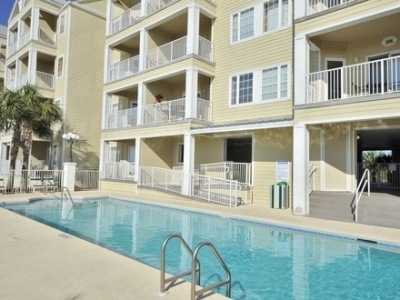 Isn't it about time that you arranged to see the fantastic condos on the market right now in Grand Caribbean? Call Lorraine and Katy of The Gatti Team today! (251) 223-3882 or (251) 233-9790. We are here to help!